Family is a beautiful thing. I have a pretty large one and am grateful to be close with so many of my relatives living both near to and far away from me. The word “family” carries a lot of meaning with me, so it has always struck me as kind of strange to ever encounter a company that publicly describes itself as a “family”. After all, how can any “corporate culture” possibly compare to what it’s like to truly be a family? 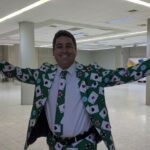 Prior to “going all-in” and starting to work full-time in poker media, I had worked in almost a dozen different positions at a variety of companies. While I was lucky enough to always have great relationships with my coworkers, many of whom I developed real, lasting friendships with that carry on until today, there’s still a fine line between those relationships and the ones I have with members of my family. After spending a week accompanying the World Poker Tour family, however, my previous perception of the idea of family has been completely flipped on its head. In my 35 years, I had never come across a group of coworkers who love and value each other to the extent that a proper family does. Yet, the individuals lucky enough to call the World Poker Tour their employer truly represent everything the word “family” stands for. 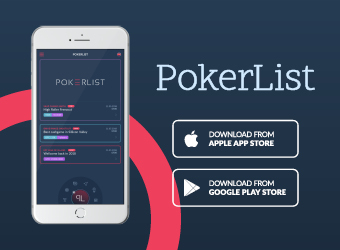 We’ve all heard of the World Poker Tour and know the brand from the hundreds of shows we’ve seen on TV over the years; the top-notch productions, beautiful sets, smiling faces of the cast. It has always made me wonder what the familiar WPT faces and personalities are like off-camera. What about the people who toil tirelessly behind the scenes, without camera lenses pointed at them? What are they like? What makes this company tick? 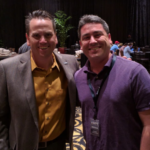 A short while back, I let you all know that I would be in attendance at the season-ending World Poker Tour Tournament of Champions, and that it would be my first time at any WPT event. Over the course of doing coverage, I learned that only about 50 people in total work for the company. That statistic blew my mind. How on earth could so relatively few people create such a tremendous impact and shoulder the insane amount of work and responsibilities associated with a global brand name? The only legitimate answer I can think of is that each individual working for the WPT punches WAY above their weight. You can see it in the way they all carry themselves: The responsibilities and work are shouldered collectively; they’ve all got each other’s backs all the time. Even this week’s festivities alone, from the poker events to the special lectures to the Legacy Through Art exhibition to the fantastic player party and SO much more that it’s practically futile to have even tried to start listing it all, somehow everything went off without a hitch. While an inordinate amount of work was surely required to get it all done, you wouldn’t know it by the uniformly cool, calm, and collected disposition of each and every WPT family member. Hard work and passion drive these people. They are bursting with energy at all hours of the day. They love their jobs. They love people. They love poker. Above all, they love each other. That kind of love can carry a group of people – and a company – very, very far. Why Focus on Poker Hate When There’s So Much To Love? There’s unfortunately so much negativity in poker. Each new #pokertwitter war, “scandal” or (actual) scandal that erupts in our industry, saddens me so greatly. 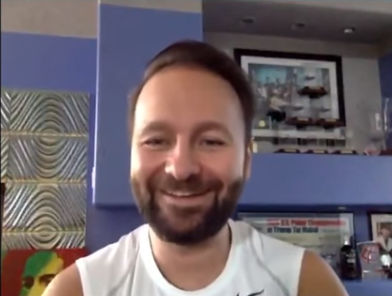 I’ve always been more attuned to positivity and continue to believe that there’s a lot of positive to be found in poker; you just have to look a bit harder to find it sometimes. 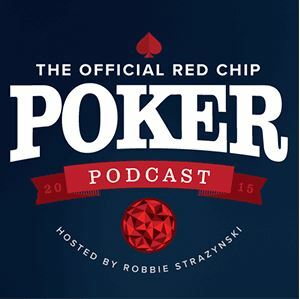 I’m happy that I have this platform via which to convey stories of positivity to poker fans around the world. There are always plenty of happy vibes at a party, so it goes without saying that smiles were everywhere at the player party I attended. 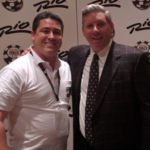 What made the biggest impression on me, however, was meeting numerous ClubWPT winners. Seeing the excitement of people who literally personify the phrase “recreational player” as they introduced themselves to legends like Mike Sexton and Eli Elezra was just fantastic. Regular folks from all over North America, not a single one of whom has his/her own Hendon Mob page, were plainly and simply reveling in the moment – earning the opportunity to be flown in and put up at the beautiful Seminole Hard Rock Hotel in Hollywood, Florida, be surrounded by famous poker faces, have the chance to take home some extra cash, enjoy great music and an open bar. 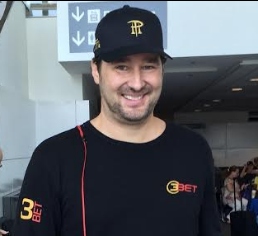 Many of the winners took along their spouses and significant others for the ride (with quite a few of the latter not knowing much about poker at all, the trip constituting their first exposure to the game), and pure happiness was plastered all over their faces. 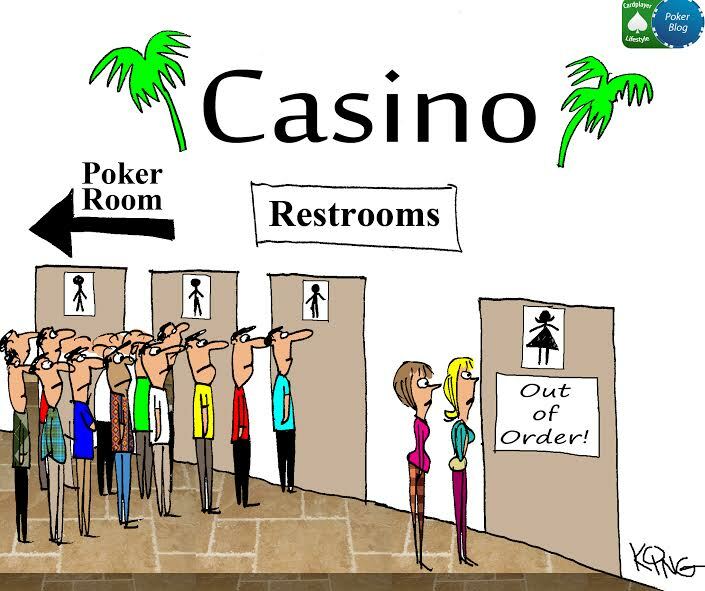 What more could a poker lover possibly ask for? Jeffrey Ross made a name for himself as comedy’s “Roastmaster General”. There’s no better roaster in the world, yet for all the barbs and bombs thrown in everyone’s direction, there’s no roaster more beloved. That’s because, as he loves to quip as part of almost every set, he “only roasts the ones he loves”. I’ve always wanted to attend a roast in person, and the World Poker Tour was kind enough to invite me to a special roast of longtime TV co-commentator Vince Van Patten. 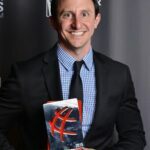 Boarding the bus was a pretty surreal experience for me; here I was surrounded by dozens of people working for one of the top poker companies in the world, all headed out to what CEO Adam Pliska deemed “the best night of the year”. Assuming my position as “a fly on the wall”, I felt immensely privileged to have permission to see what lay beyond the curtains. And yet, there was no perceptible difference in people’s personalities than what I had seen prior. Behind “closed doors” these people were just as friendly to one another, just as happy, just as excited to be in each other’s company. A swanky restaurant setting with a king’s feast laid before them, if anything the WPT family’s brightness only shone more brightly. One by one, the roasters got up and “laid waste” to Van Patten. Matt Savage, Mike Sexton, Tony Dunst, Lynn Gilmartin, and others fired away; boom, boom, boom, boom, yet Vince took all the jokes in stride, the smile never leaving his face. These were people roasting one of their own, and the lovefest was effervescent; plus Vince got some nice return jibes of his own in :-). Adding another layer to the joy was that this was a gathering of people from across the globe. 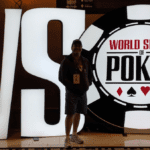 After all, it is the WORLD Poker Tour! While they all work for the same company, it’s not as though they all report to the main offices in Irvine, California, each day. The men suited up and the women were dressed to the nines; each decked out in their finest to celebrate togetherness – a family reunion in which they couldn’t possibly be happier to be spending time with each other. We’re all familiar with the faces of the WPT that we see on TV, but there are plenty of people you never hear about. Perhaps it’s because each of those people is just eager to shine the spotlight on others rather than themselves. It’s for that precise reason, then, that I will mention some of them here; the ones who took the time to get to know me during my trip. To David, thank you for coming to sit with me while I ate my dinner. Over my career, I’ve met plenty of marketing people but none with the vision and passion you displayed for your role. That you adamantly choose to remain behind the scenes is testament to your humble character, but surely anyone who works with you knows exactly how much of a positive impact you have on the WPT and how much success you’ve helped catapult it towards. Despite what I can only imagine are interminable responsibilities at the largest WPT event series of the year, watching you take the mic in front of a couple hundred WPT League members, chatting with them about the basics of poker and helping welcome them into the game for the first time speaks to the fact that you haven’t lost sight of what’s enchanted you about poker in the first place. You are a remarkable man, and the WPT is lucky to have you. Dear George, no less than a personification of ultimate professionalism. Whether it was the first time we met at the hotel lobby, where you assured the staff that “Anderson Cooper” was simply a placeholder for a room meant for me, or during our conversation about how both my Orthodox Judaism and your Seventh Day Adventistry place supreme value on the virtues of the Sabbath, you were an absolute pleasure to spend time with. Thank you for your friendship and camaraderie. To Ging and Ang (NOT Angelica!) – names that up until now I had only known via Twitter; what joy to get to know the actual people behind the avatars and to fully understand why so many people in our industry hold you both in such high regard. Always asking how I was doing, if I needed anything, if there was anything you could do to assist…. Let’s just say that my “one-man operation” felt like he had plenty of backup at all times. To Fernando – to have a heretofore complete stranger so quickly become interested in my work and what I do (and root me on with such gusto!) is so very, very flattering. I could tell each and every time you asked a question that you weren’t trying to be polite or make conversation, but that you took a genuine, actual interest in me and the career path I have chosen. You’re the kind of person anyone would love to go and get a drink with. To Karen – what a fiery ball of energy you are! 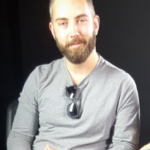 That you’ve barely been with the WPT for a month and have already perfectly channeled the company ethos, all the while bringing your own unique brand of enthusiasm to your position, is so incredibly impressive. 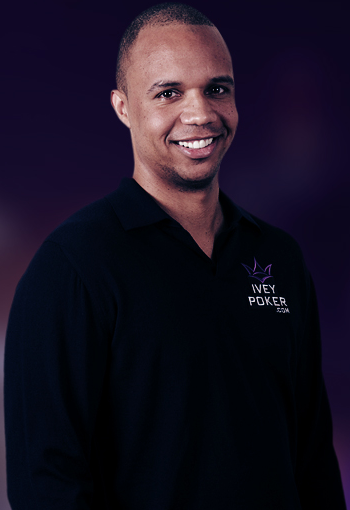 I’m sure you will go on to do great things and make the WPT events even better than they’ve been up until now. And, of course, how could I not mention Rich and Donnie?! 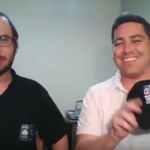 Two of the poker industry’s best and brightest for years now, the World Poker Tour surely knew what they were doing when they tapped you from your prior positions and invited you to become part of their family. 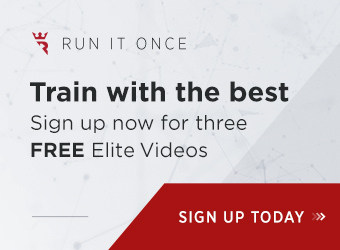 Your transition from far more public positions to more behind-the-scenes roles only serve to illustrate your versatility, showcase another dimension of your talents, and show how great you both are at being team players. I’m positive that your work successes not only give you personal satisfaction, but also high marks and distinction from the rest of the WPT family. Of course, aside from the WPT family members I’ve mentioned there are many others, and I’d be lying if I didn’t admit that I’d love to get to know them all better at some point in the future. 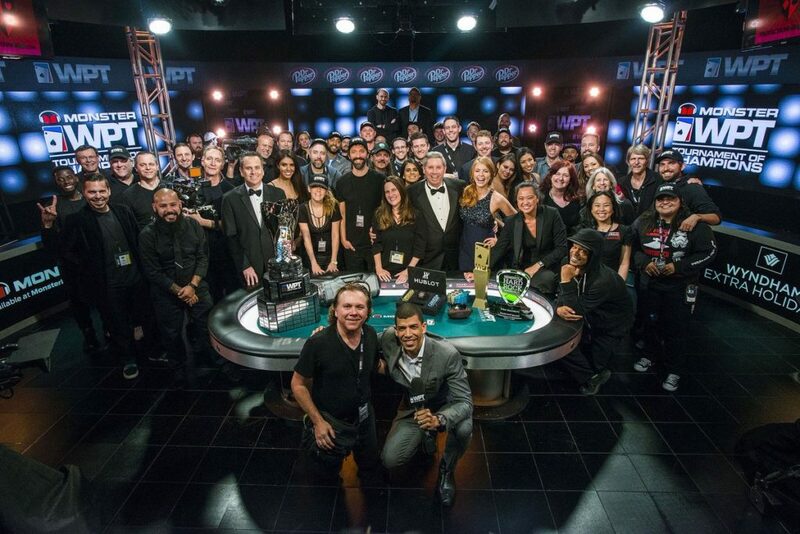 Having lifted back the veil just a bit, the WPT gave me a peek inside what it’s like to be a part of their family. Indeed, it is a beautiful thing. 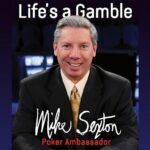 After 2,000 words I haven’t really talked at all about poker. Isn’t that odd for a poker blog? There’s a reason we call this place Cardplayer Lifestyle. I might not be a professional poker player myself, but I’ve got enough experience to know a bluff when I see it. This was no masterful WPT bluff; they’ve got the goods, and they’ve got ‘em in spades. 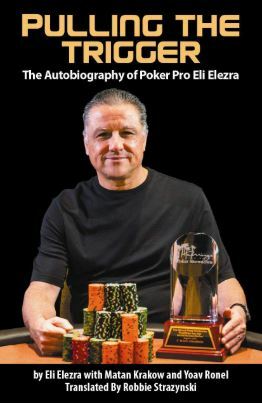 As I learned over my time spent with them, the World Poker Tour is a tightly-knit family that’s all about storytelling. I hope you enjoyed their story.